Slime seems to be the latest things kids are going crazy over. I have looked myself on Pinterest on how I can make some at home as I thought it would make a good sensory activity for Ava. A majority of the ingredients you could only buy in America and being in the Uk it made it very hard. 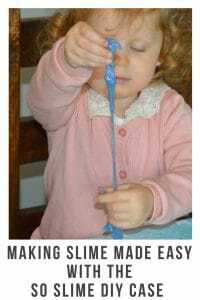 Also when I did find a how to make slime post it included some bizarre components and not ones I would really want Ava to play with. 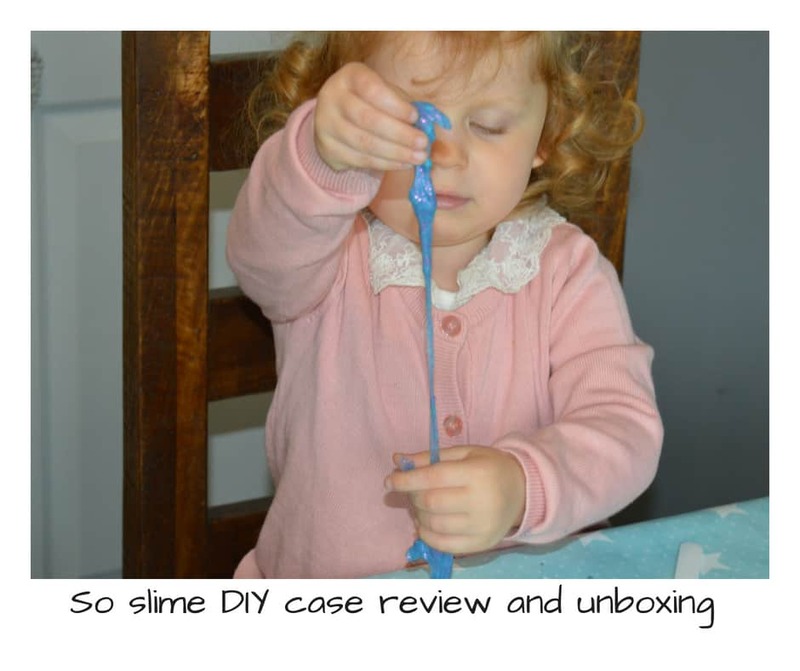 So when I was approached to see if we would like to review the So slime DIY case. I was intrigued to see if it would make the same slime I had been seeing everywhere but without having to add all these weird things into it. 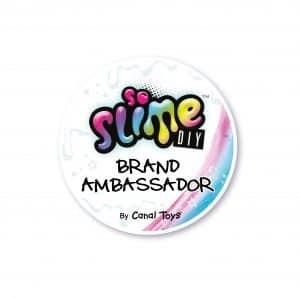 Now the So Slime DIY case is aimed at children aged 6 years plus. We will be gifting this to one of my friends little ones but we could resist having a little play before we gave it to her to try. How do you make the slime? It’s so simple to make slime using the So slime DIY case. All you have to do is empty the powder into one of the shakers, Then add in either some confetti or Glitter . You will then need to add some water. On the shaker you will see a line near the top. You will need to fill the shaker with water up to this line. Once you have added the water pop the lid on making sure it’s on securely. Now shake ! I did use the spatula to help mix it together as some of the powder was stuck in the bottom of the shaker. Once all the contents have combined completely you will need to leave it for 5 minutes. Whilst your waiting you could use the stickers that come in the box to personalise your DIY case. Once the five minutes is up you can enjoy your slime. Ava liked to hide the figurines in it and try to find them again. Overall I thought the slime DIY case was so much fun. 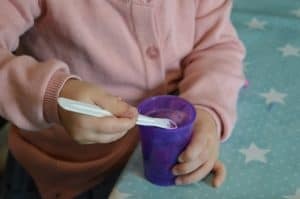 It allows children to explore slime without having to use some bizarre ingredients to make it. It’s so easy to do and doesn’t take long at all. When your finished exploring your slime you can pop it back in the shaker ready for next time. Ava was so excited by this I thought it would be fun to video us exploring it. 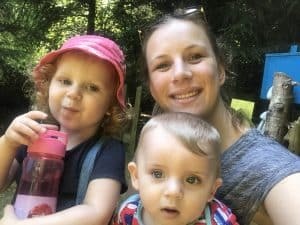 So why not take a look at the vlog below and see how we got on.